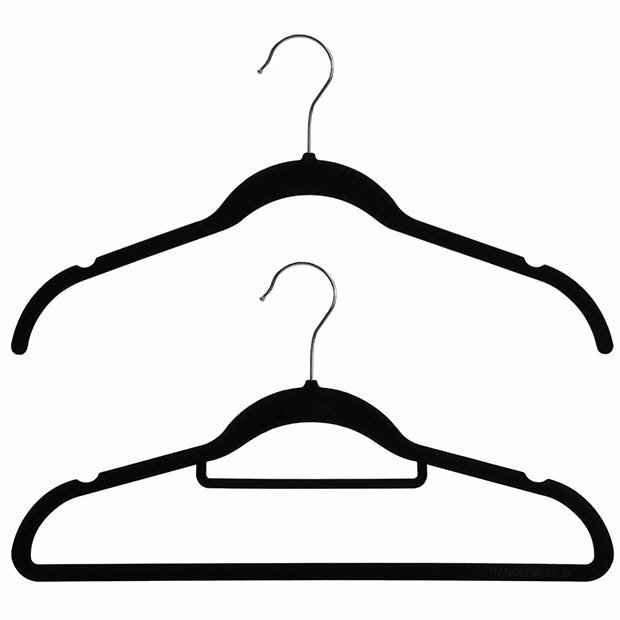 Pack includes 10 x top hangers & 10 x trouser bar hangers. Anti slip black velvet coating is gentle on clothes and prevents garments from falling off. Ultra slim, space saving 5mm profile increases your usable wardrobe space. Integrated accessory bar for ties, belts and scarves. Suitable for woollens & delicates, blouses & shirts, trousers & skirts, jackets & coats etc. Size: Width 42cm (16.5") approx.